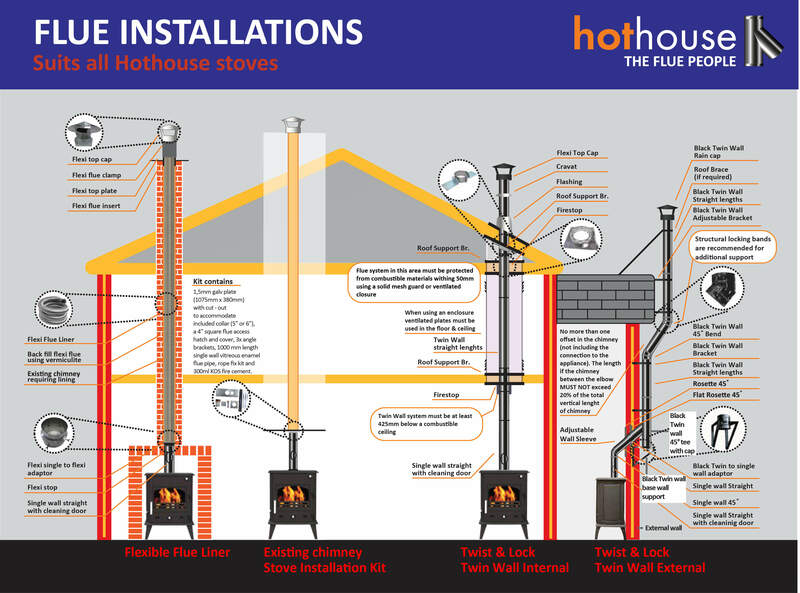 Hothouse flexible flue is used to re-line existing masonry chimneys where there is no existing lining or the lining is damaged. heat Design flexible flue is suitable for multi-fuel applications as it is double walled with both inner and outer walls made from 316 stainless steel. When a chimney is re-lined with flexi flue it is essential that it is backfilled with vermiculite to insulate between the masonry and flue liner.